Hyaluronan, or hyaluronic acid, is a naturally occurring substance found in many tissues throughout the human body. Hyaluronan is the key component of synovial fluid, a nutrient-rich, viscous fluid that provides lubrication and nourishment to the joints as well as shock absorbtion. Hyaluronic acid injection therapy consists of a series of injections administered directly into the affected joint to aid in treating certain joint disorders, such as osteoarthritis, in a nonsurgical manner. Joint preservation injections not only act as a nutrient supplement, but also decrease inflammation and restore the joint fluid. Commercially available hyaluronic acid products include Hyalgan, Supartz, Synvisc, Monovisc, Orthovisc, and Euflexxa. To learn more about hyaluronic acid injections or to schedule a consultation with orthopedic specialist Steven W. Meier, MD, please contact us at Meier Orthopedic Sports and Regenerative Medicine today for orthopedic services and sports medicine. Our office number is 310.736.2793.
Who Should Get Hyaluronic Acid Injections? 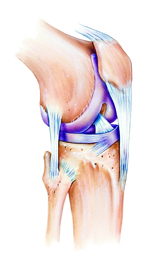 Hyaluronan injections are approved by the FDA for the treatment of arthritis of the knee. In Europe, hyaluronan injections have been injected into many other joints as well for decades. Interestingly, hyaluronan injection therapy traces it roots to veterinary medicine where it has been used to enhance the performance of race horses. Arthritis is grouped into three basic types: osteoarthritis, rheumatoid arthritis, and post-traumatic arthritis. Rheumatoid arthritis is a type of autoimmune disease in which the body’s immune system attacks the joint cartilage in many areas of the body. When this occurs, it can damage the joints and lead to symptoms such as pain, fatigue, swollen joints, and reddish or warm joints. Post-traumatic arthritis is a type of arthritis that develops after physical trauma to the joint. 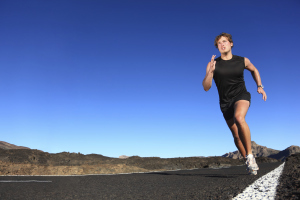 This injury may be the result of athletic injuries, a motor vehicle accident, or any number of other physical traumas. When an injury damages the cartilage or bone of the joint, the mechanics of the joint itself can become altered, leading to or accelerating the normal process of degeneration over time. Also called hyaluronic acid viscosupplementation, this procedure entails injecting the hyaluronan, which is a thick gel-like liquid, directly into the knee joint. This treatment is usually a series of three to five injections, each given a week or two apart, in the comfort of our office. Because of the low risk of adverse reactions and few complications that have been noted over time, these injections are considered to be very safe. The patient may choose to repeat the injection series, and if this is done, some patients do choose to undergo these viscosupplementation injections every 6-12 months to obtain the maximum relief possible. For some patients, however, they obtain enough relief from one series to last years. Hyaluronan injections have been shown to be most effective for patients with mild to moderate knee arthritis. However, even patients with more severe arthritis have found these injections to be helpful in diminishing pain and improving function. Normally, it takes several weeks after the injection to notice a decrease in swelling or pain. The onset of action is usually slow and gradual but the effects can last for a long period of time. This is in contrast to cortisone injections, for example, which can knock out pain quickly but then typically wear off rapidly as well. The primary purpose of hyaluronan injections is to decrease painful inflammation and improve function. Many patients choose to opt to try hyaluronan injections with the intent to delay or avoid the need for joint surgery. There are some animal studies showing evidence that hyaluronan injection therapy may actually slow down the progression of established osteoarthritis in some cases. Q: How do hyaluronic acid injections work to treat knee arthritis? A: They increase the lubrication fluid inside the joint, thus making the joint easier and less painful to move. Some researchers also believe it may stimulate the body to produce more hyaluronic acid on its own, and provide an enhanced nutritive environment for the joint. This is believed to help decrease inflammation over time. Q: How do I know if I’m a good candidate for hyaluronic acid? A: Most patients who have hyaluronan joint injection experience mild to moderate arthritis. However, the best way to determine if hyaluronic acid may benefit you is to see an orthopedic specialist who can assess your particular case. There are few contraindications to administration of viscosupplementation, but only your doctor will be able to tell you if hyaluronan treatment is recommended for your condition. Q: How long does it take for hyaluronic acid to work? A: Most patients begin to feel the greatest decrease in pain and discomfort between two and three months after their injections. However, some patients have reported feeling an improvement in their joints after only a few weeks. Are you looking for an alternative to joint surgery to treat the pain and stiffness of knee arthritis? Hyaluronan viscosupplementation is a nonsurgical option which may help provide relief from arthritis in the knees without having to take pain medication or NSAIDS. To find out more about hyaluronic acid injections or to set up a consultation appointment with Dr. Meier, visit ncbi.nlm.nih.gov or please contact us today. You can also go to our website and fill out our easy online form and we’ll get back to you right away! Next, read about Injection Therapy.